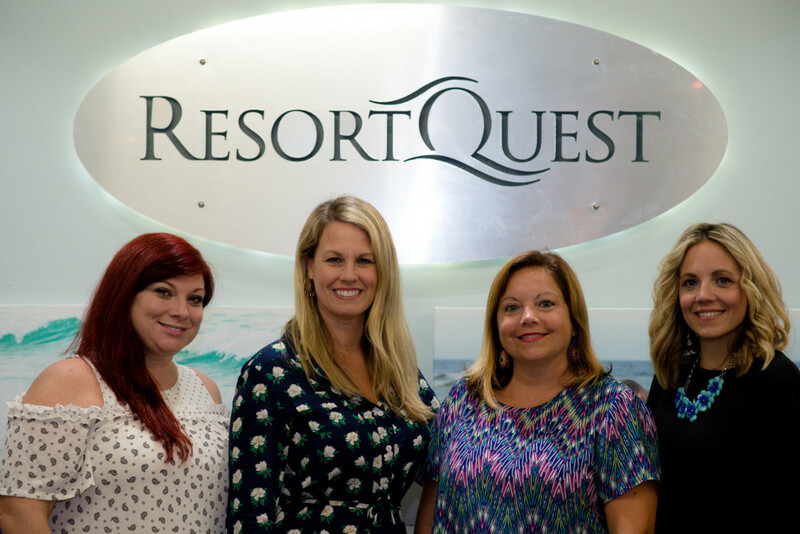 ResortQuest’s Group Sales team is the matchmaker for you and your ideal vacation rental. Whether it’s a family reunion, business meeting or a bride wishing for the perfect venue, the caring and dedicated group sales team, led by director Joyce Serina, seeks to perfectly pair you with a location that fits your needs and budget. To ensure superb customer interactions, the team has a culture of count-on-me service, which is a Wyndham initiative consisting of three pillars — be responsive to guest needs, be respectful in every way and deliver a great experience. I started with the company 21 years ago, working part time while being a stay-at-home mom raising two sons. Once they started school, I thought, I really love this company and wanted to pursue a career opportunity. I began as a reservationist and quickly rose to coordinator, then manager and now to director. What is the best part of working for your company? The people. Everyone on our team gets along and collaborates well, and our leadership is outstanding. One of the perks is how we are able to give back to the community. We always do what we can to support charitable organizations as well as our local military. We also have a program in conjunction with PAWS where we foster and adopt out dogs here at our corporate office. What impact do you hope to make on the community? For me and my incredible sales team, our goal is to bring new group business to the area — particularly during the times of year that are slower. I feel it’s our responsibility to bring visitors to help the economy and tourism jobs during all seasons of the year. For me and my team, I think success happens once a group leaves and we call them about their visit, and they share their experiences and memories made. Whether it’s a family reunion where generations come together on our beautiful beaches, or the bride who shares that her wedding at one of our resorts was the most memorable day of her life — I measure success in their stories.